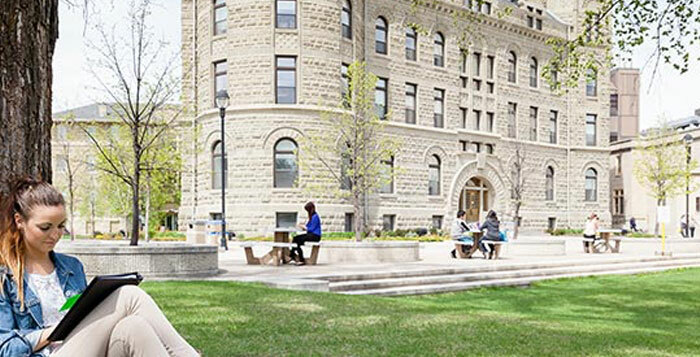 The University of Winnipeg Collegiate offers the best of both worlds for Winnipeg students in grades 9 to 12—a high school at a university. Whether a student loves to study, is a potential future leader, or has a special talent to nurture outside of class, they can thrive with the independence and flexibility of learning on a university campus, combined with the support of a close-knit community of educators who care deeply about student success. The Collegiate is a safe and stimulating atmosphere, free from distractions and disruptions. Noted for accelerated courses, dual credits and its supportive learning environment, The Collegiate continues to build on a long tradition of academic excellence, critical thinking, and community spirit. With the help of its professional arts partners – including the Winnipeg Symphony Orchestra, Royal Winnipeg Ballet, Manitoba Theatre for Young People, Virtuosi, and the Royal Manitoba Theatre Centre – The Collegiate provides its students opportunities to explore concepts through performance art in a multitude of subjects. Another valued partner, the Manitoba Conservatory of Music and Arts, is located on campus and shares newly renovated facilities and opportunities for enhanced musical education in harmony with The Collegiate.